Adorning your piercings isn't just about looking fantastic (though, let's face it... that's a definite plus! ), it's also about feeling secure in knowing that your jewelry is going to last, and that it's safe to wear in your body. We feel very strongly that our clients deserve safe, beautiful, well made jewelry that can last them a lifetime. To ensure that we provide that peace of mind, we only carry jewelry from companies that honor that same commitment to safety, quality, and design. 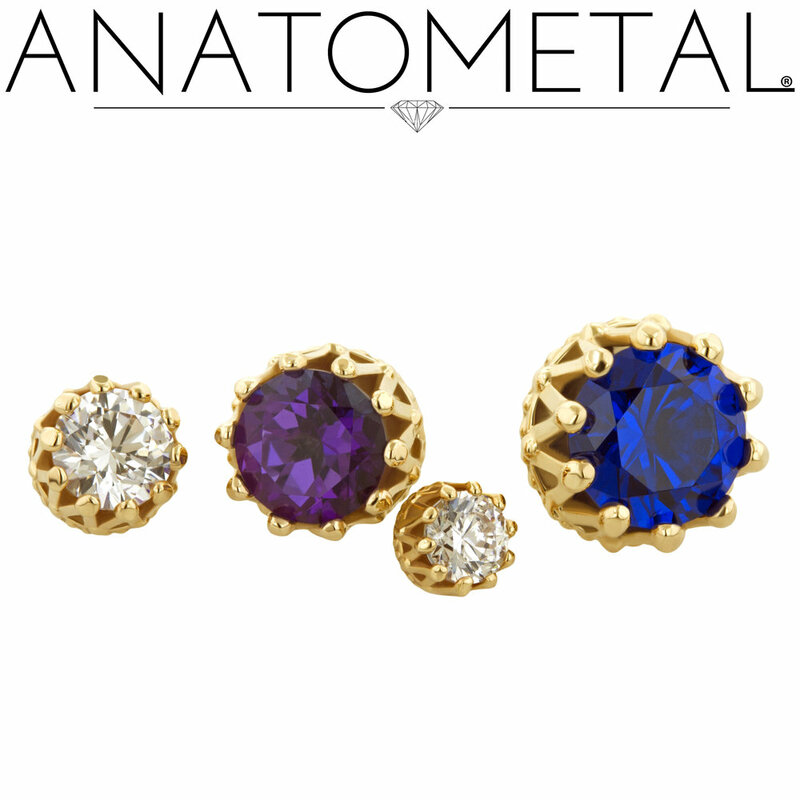 We are proud to stock a wide variety of jewelry from Anatometal, BVLA, Neometal, Industrial Strength, and more. We use implant grade, internally threaded or threadless jewelry for all of our piercings. We carry nickel-free options for every piercing. 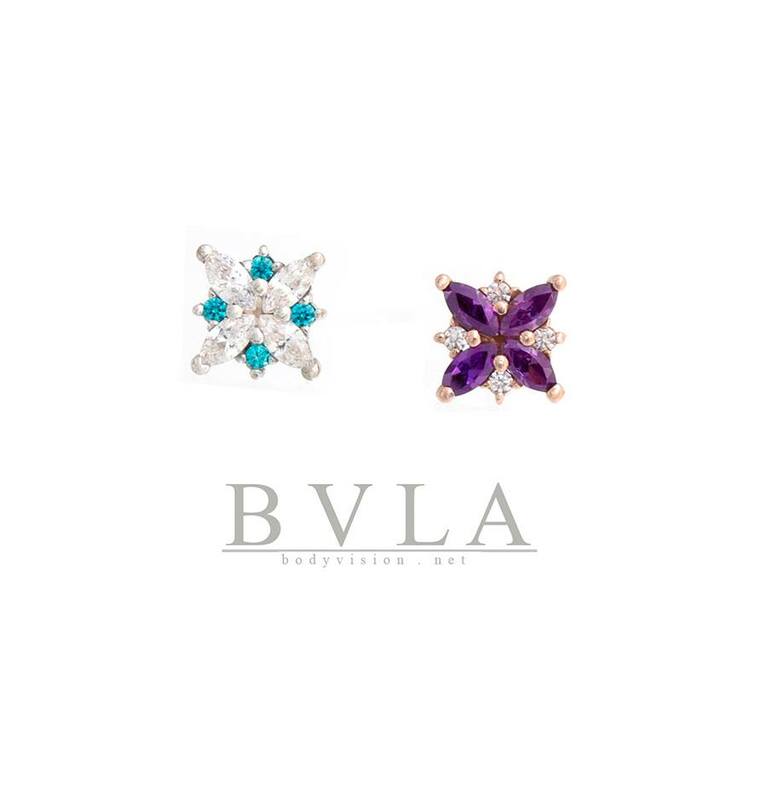 All gemstone jewelry uses either lab created or genuine gemstones, and gems are precision set... never using any glues or adhesives. We carry solid 18k and 14k gold, available in yellow, rose, or white options. Jewelry is hand polished to a mirror finish... which is what allows the jewelry to maintain its integrity, and its luster, year after year. Because we only work with the best manufacturers, we are happy to be able to off a lifetime guarantee on the workmanship of every piece of jewelry we sell. Should you ever have a gem loosen, or a setting fail, we will have the piece repaired or replaced for you. Our clients have excellent taste, and they know what they like. If you are looking for a specific gemstone, a custom setting, something uniquely yours... we can work with you to make it a reality. Everything is possible. All content copyright 2017 Immaculate Studios, llc.